En Passant brings you the game of chess in a clean and attractive way. Papers 3 helps you collect and curate the research material that you're passionate about. The portable virtual station for the BART San Francisco metro. Play piano on your iPad with your keyboard plugged into the Camera Connection Kit while using other apps. Provides basic pharmacological knowledge: pharmacodynamics, pharmacokinetics, and drug mechanisms. 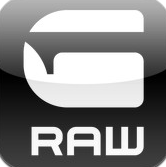 The G-Star RAW Magazine for iPad. Hi, I study Medicine and develop applications for iOS. Developing an app? Check out my Github profile for useful open-source projects.